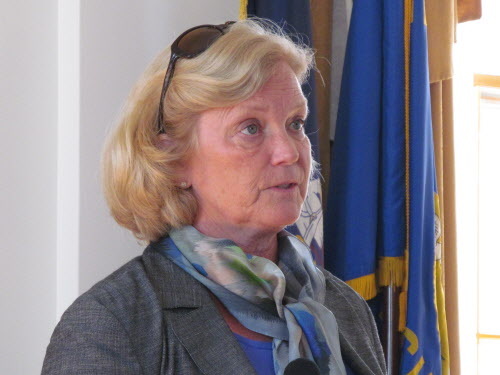 WASHINGTON — U.S. Rep. Chellie Pingree will serve as a minority member of the House Appropriations Committee during the next Congress, her office announced Thursday. The committee sets spending priorities for all federal programs. Pingree will be only the second House Member from Maine since 1899 and only the fifth Mainer in history to serve on the Committee, a release from her office states. The Appropriations Committee is divided into subcommittees, and because both shipbuilding and farming are important to Maine, Pingree plans to ask to be placed on the Defense and Agriculture subcommittees. Don Bilodeau, a member of the union representing most of the workers at Bath Iron Works, which builds destroyers for the U.S. Navy, praised the appointment. “Congresswoman Pingree has always fought for BIW and this is going to put her in a position to be even more effective in making sure we have the contracts we need to keep workers on the job,” Bilodeau said in the release. Sen. Susan Collins, R-Maine, serves on the Senate Appropriations Committee and is likely to continue in that role during the next Congress. Pingree said she looks forward to working with Collins to make sure programs that are important to Maine are funded adequately. Before Pingree, only four Maine House members have been placed on Appropriations, starting with James G. Blaine who served one term just after the Civil War. Eugene Hale served for six years in the 1870s, and Nelson Dingley served on Appropriations for four years in the late 1890s. The last Maine House member to serve was 2nd District U.S. Rep. William Hathaway, a Democrat, about 40 years ago. Pingree plans to ask congressional leaders for a waiver to allow her to continue to serve on the House Armed Services Committee, as well as the House Agriculture Committee.